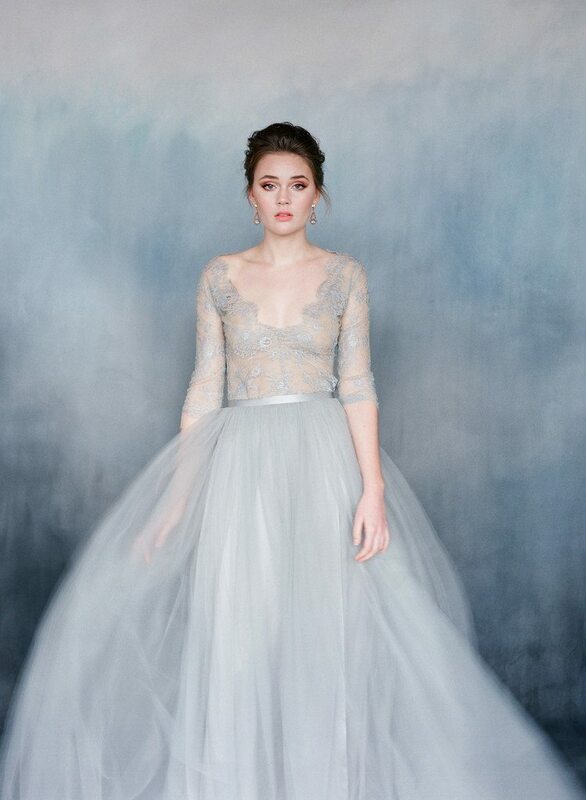 This nightingale gown is full of romance and whimsy, and this gray-blue tone is so versatile and gorgeous on so many skin tones! A gown that looks to be plucked right out of a Jane Austen novel, it would be hard to resist at least slipping into this dress for a try. 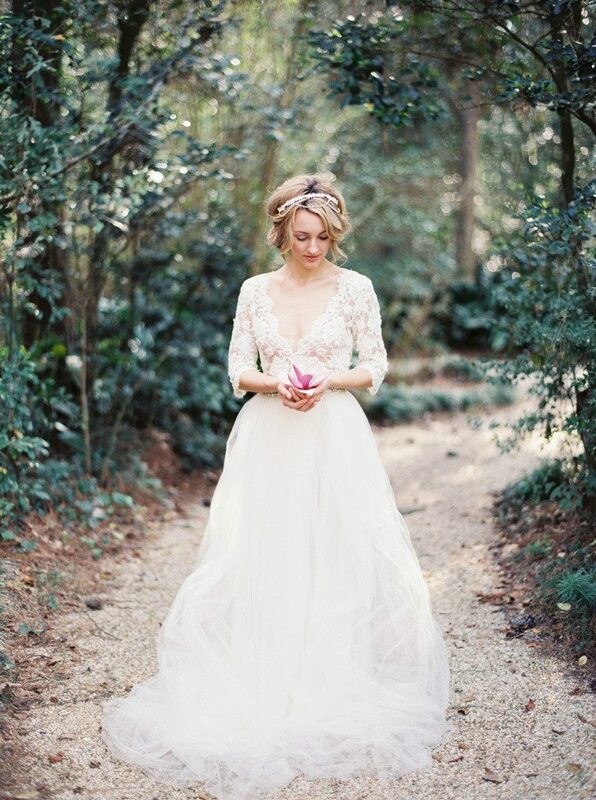 Another romantic design full of movement and girlish charm, we love the femininity surrounding these looks. 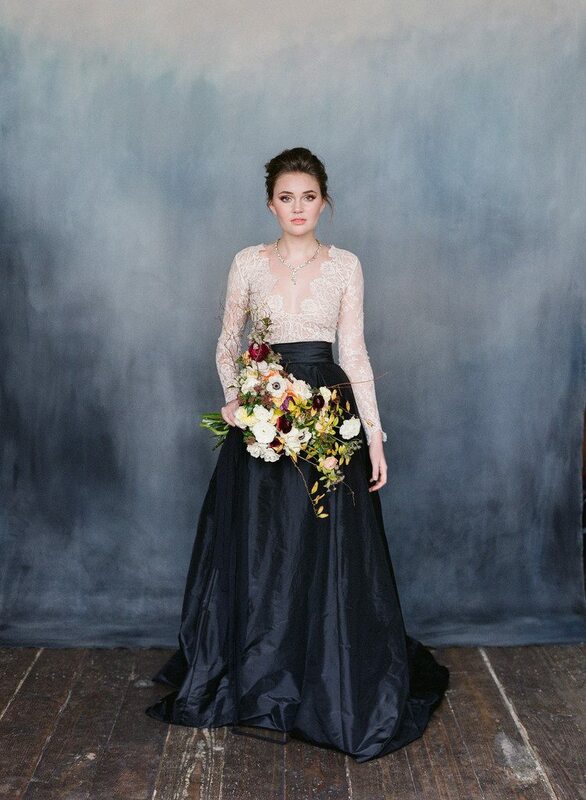 The texture on this gown is unstoppable and we love its artistic look and its classic, tulle skirt! Forgot the crisp whites and look into the creamy, beige-tones that will warm up the celebration, like this beautiful piece! White and sky blues never looked more storybook ready than they do in this design. Black and white are a classic duo and this is the perfect dress to renew your vows in and feel like a bride all over again! For those that want to standout and stay true to themselves, go with black! It's always in style! 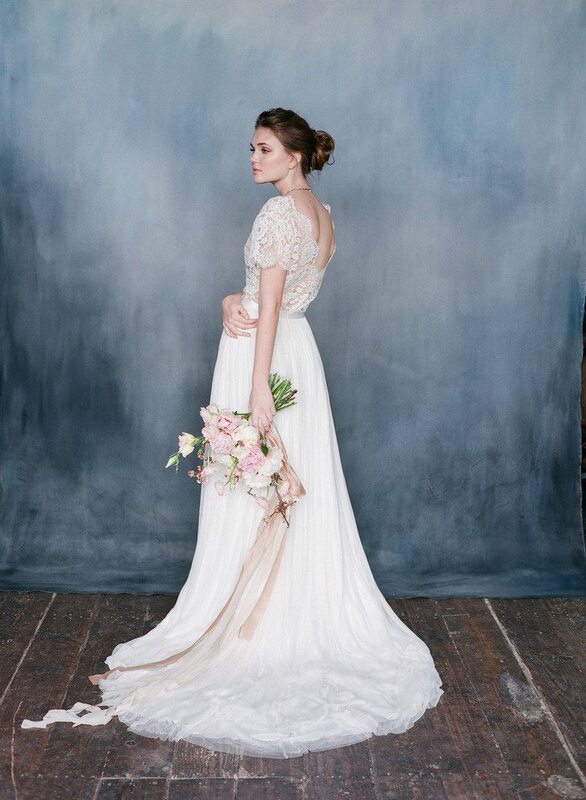 Sweet and flirtatious, Emily Riggs' bridal gowns were made to recreate fairytales and make a bride's dream come to life. You'll be doing the same with your skirt when you slip on this number - or any of the others - and feel the romance rise up.